We caught a cab within a few minutes of leaving the house (much easier than in San Francisco!) 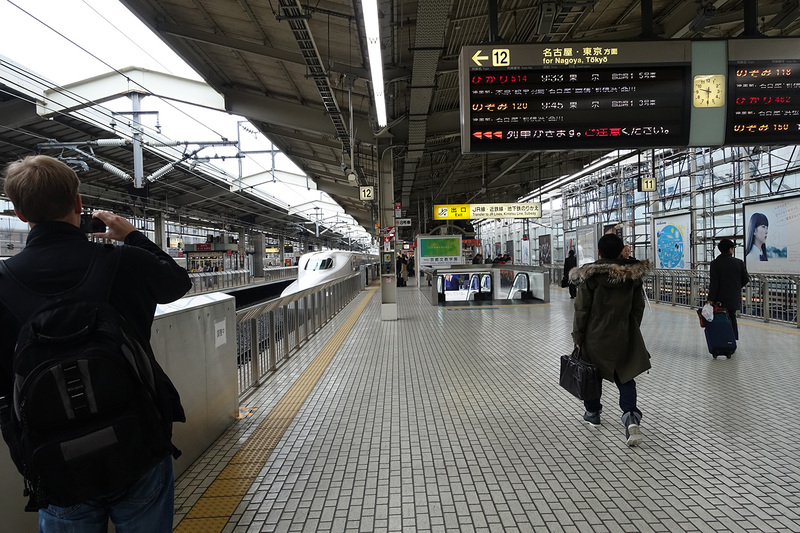 and headed for Kyoto Station. We picked up some food and drinks and did a bit of souvenir shopping before heading to the platform. Here is a photo of the train we were to take pulling into the station. The trains definitely run on time so it’s best to get there early rather than count on them being a bit delayed. Unfortunately, since it was so rainy and cloudy, we didn’t have much of a view and Mt. Fuji could not be seen. We were very lucky to have had a clear day on our way to Kyoto and while we were there! 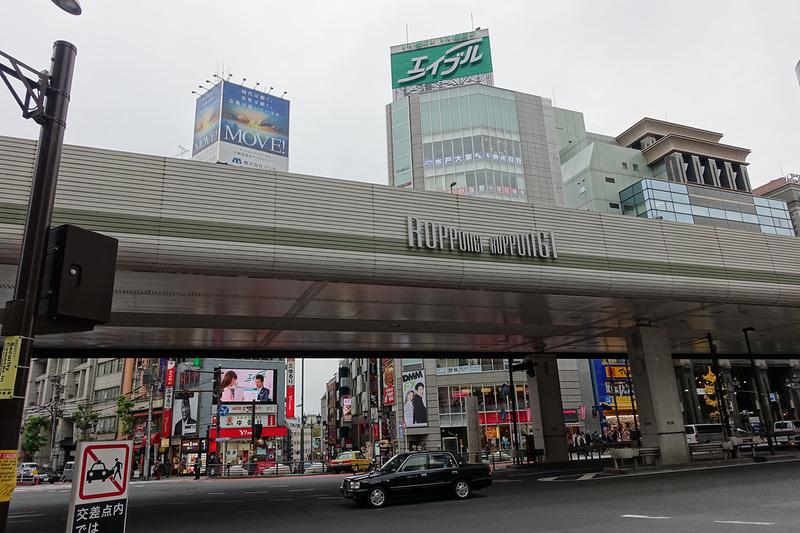 We got off at Shinagawa station and then caught a cab from there to Roppongi where our next apartment rental was located. 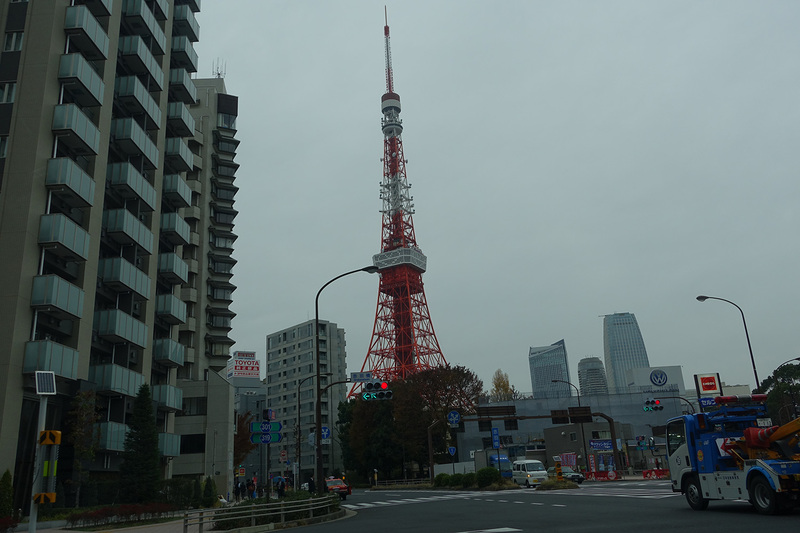 On the way, we passed the Tokyo Tower. This was the best shot I could get as the car was moving along. 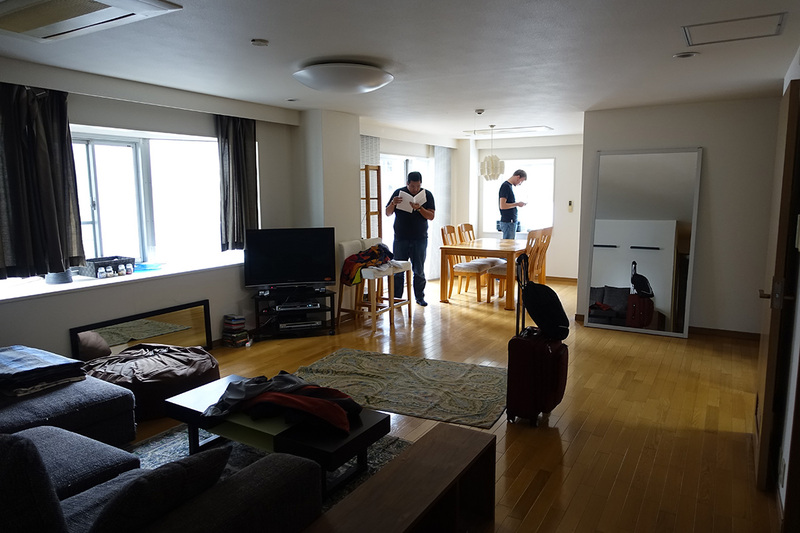 We arrived at our apartment and found that, as advertised, it is the largest of the places we have rented in Japan. 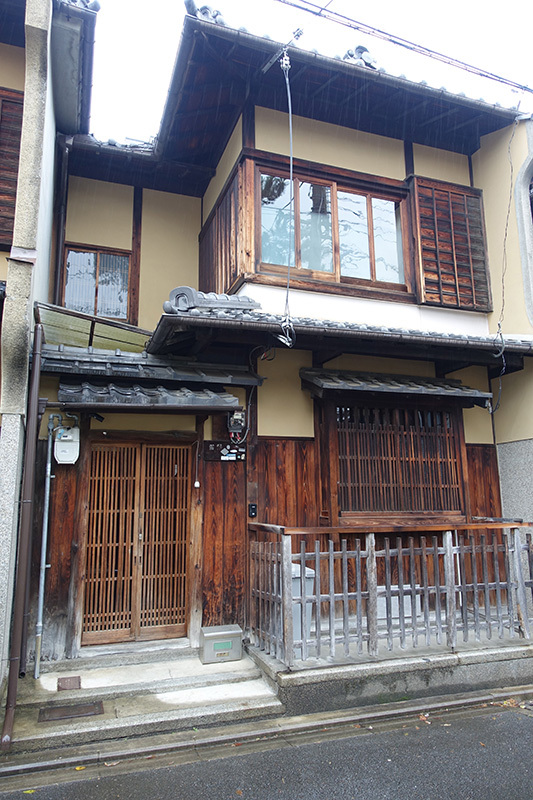 It is a real 2-bedroom, 2-bathroom apartment with a large open living area. There are no windows from the bathrooms to the living spaces. There is no need to go outside to get from the living areas to the bathrooms. These are good things. 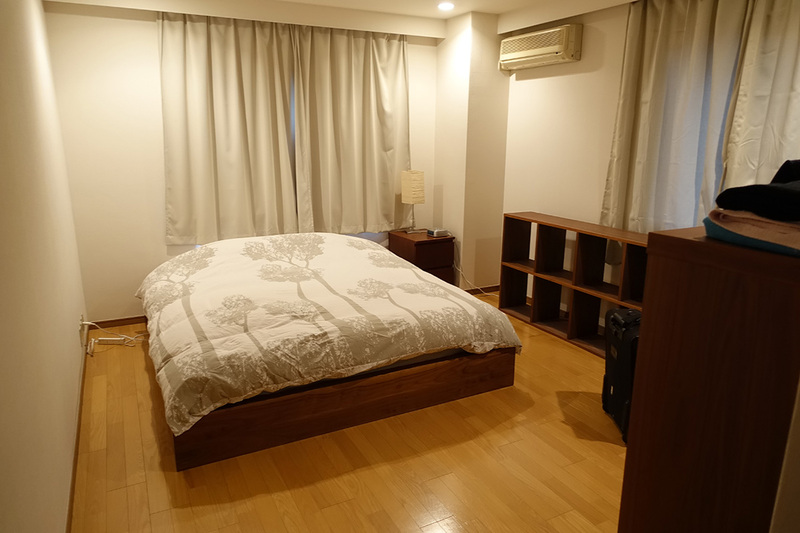 I was able to snag the bedroom with the private bath – score! One of our companions prefers sleeping on couches (he even does when he’s at home) so sharing the 2-bedroom place between 3 people worked out. After we settled in a bit, we decided to go out and explore our neighborhood. I had heard that Roppongi was a high-end area and also a major club scene and as far as I could tell this report was right on both counts. 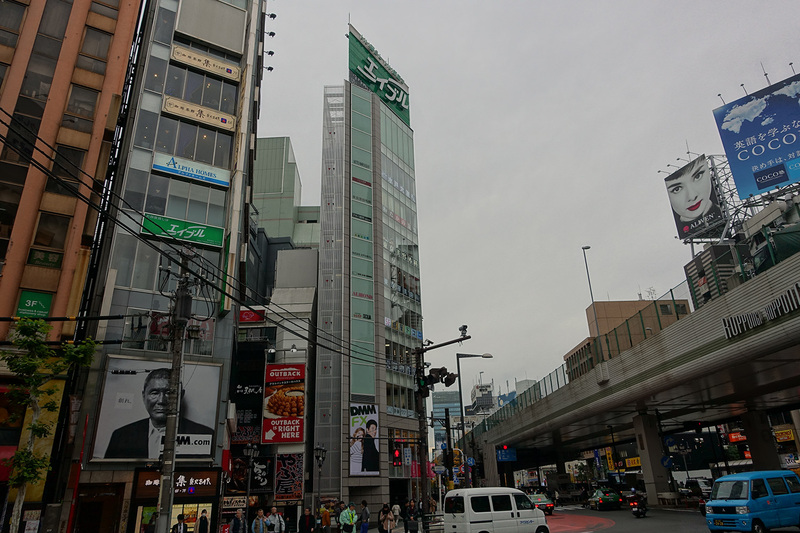 It’s really amazing to see how different the personalities of the various areas of Tokyo can be! The elevated highway cuts across the view of the intersection above but I think you can get an idea of what the area is like from this. Here is another shot. 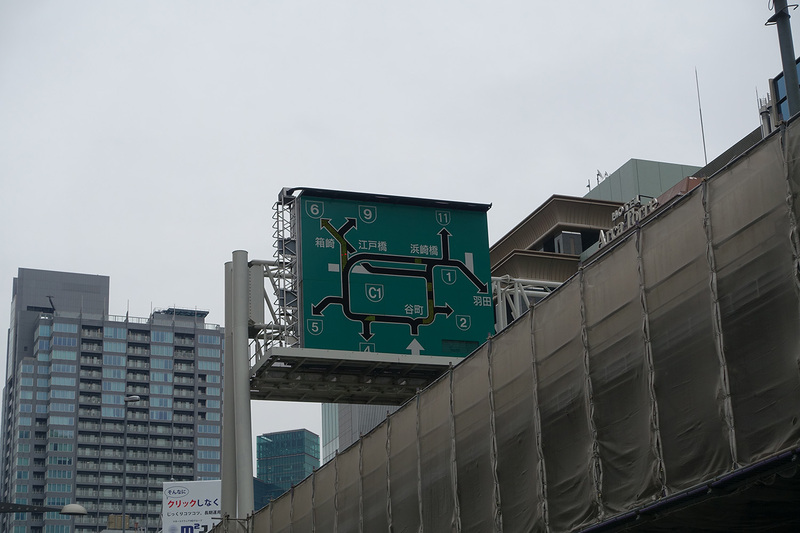 With respect to the elevated highway, there is a cool sign there that shows where traffic is problematic. The various areas of slow traffic are illuminated to alert drivers of upcoming delays. Pretty cool! 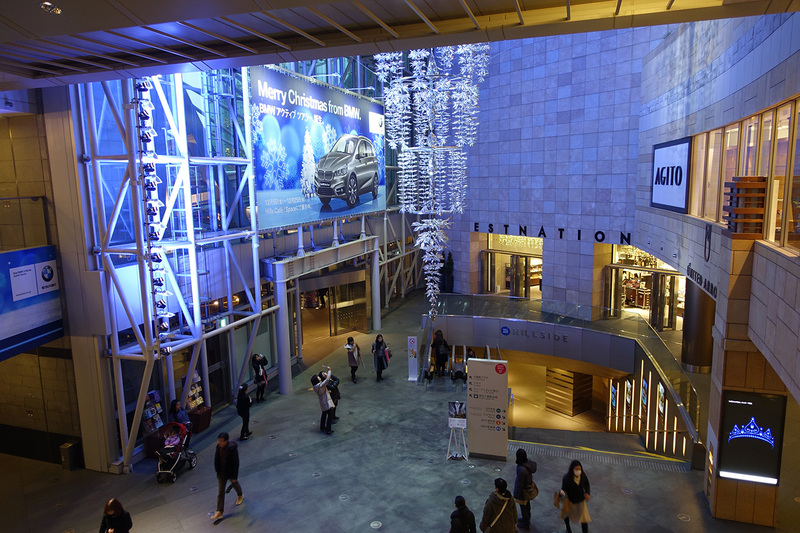 I wish we used this more in the U.S.
We eventually decided to check out Roppongi Hills, a complex that includes a shopping center with high-end shops. 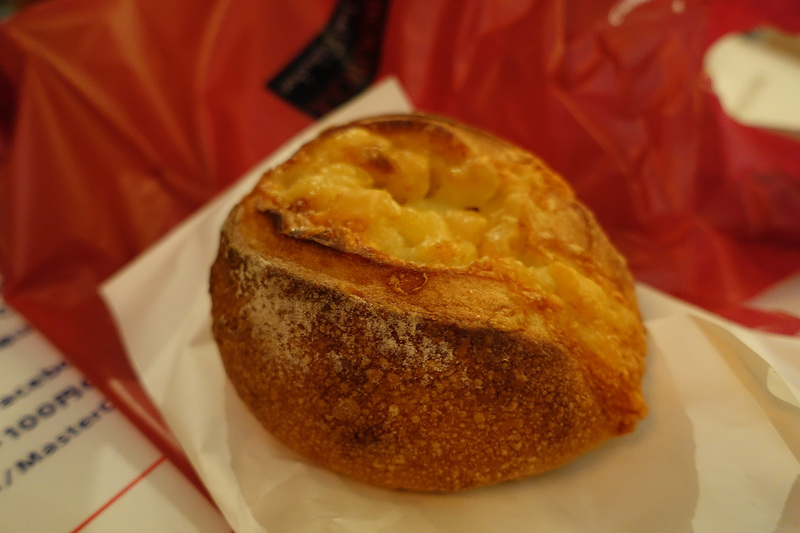 Remember how on Day 2 of our trip to Taiwan we found a little piece of Germany unexpectedly? 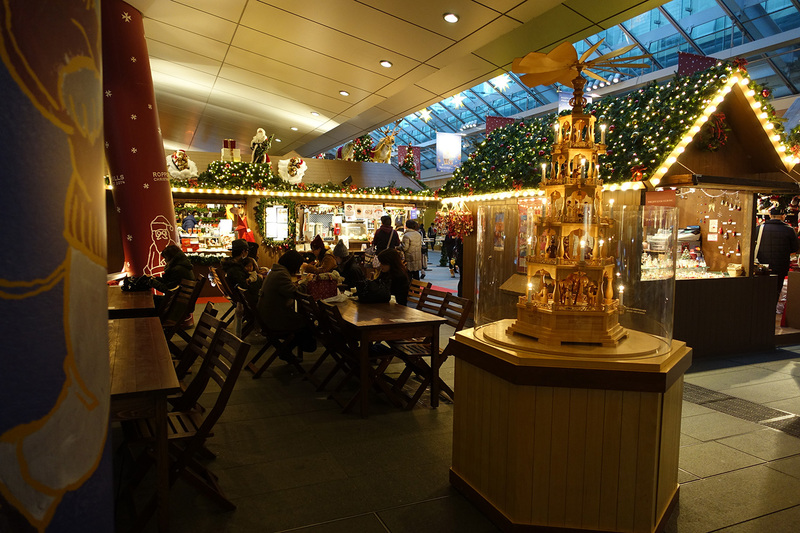 Well, the same thing happened here for what did we see but a German-style Christmas market! 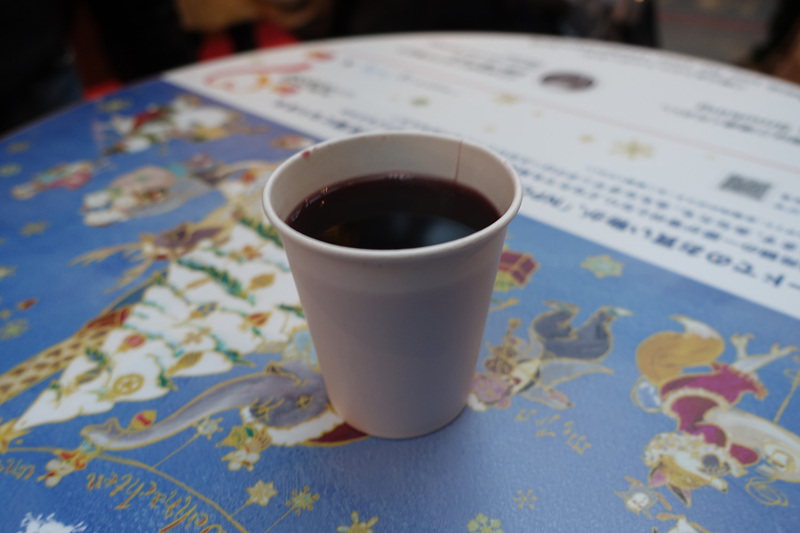 There were only a handful of stalls but many sold traditional German treats and drinks like this mulled wine. We picked this up at a stand run by some very friendly people. 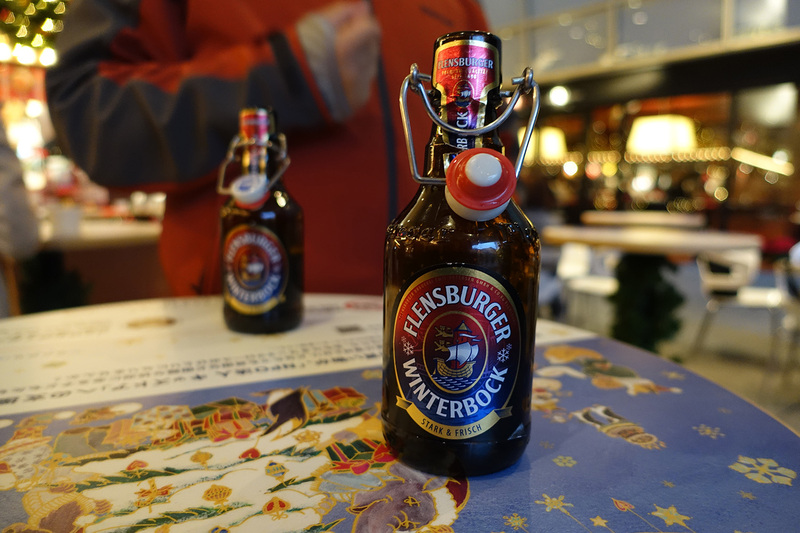 After finishing our mulled wine, we moved on to Flensburger beer, which my friend hadn’t had since he was in Germany. 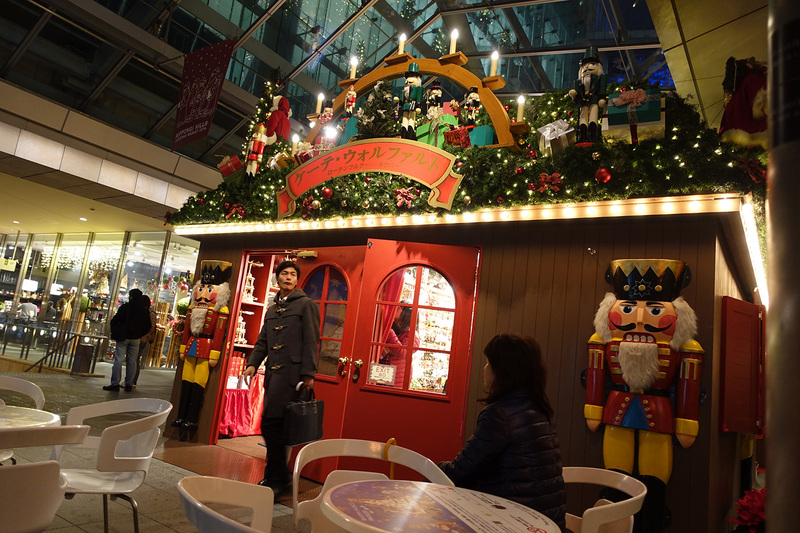 We had a good time talking and enjoying the festive atmosphere. 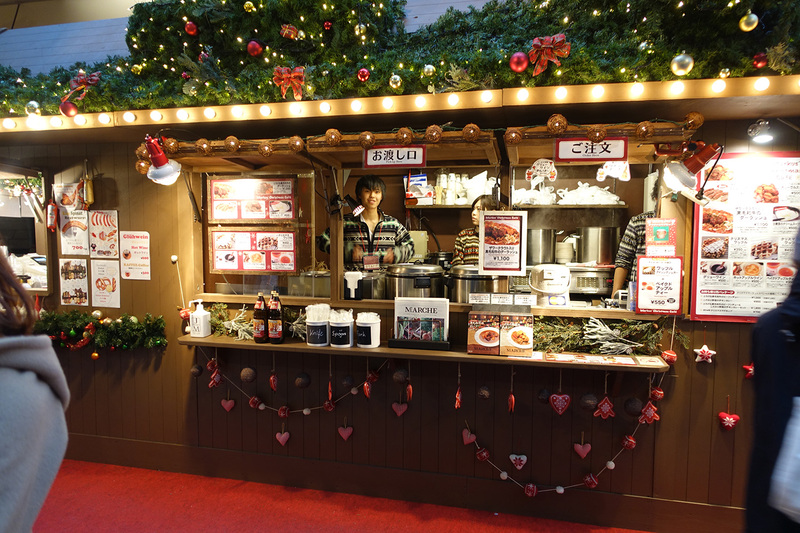 The area in which this Christmas market was held was actually a covered outdoor space which had space heaters and some protection from the rain that was falling all day. here is a look from the opposite direction of the photo above where you can see how wet it is outside. 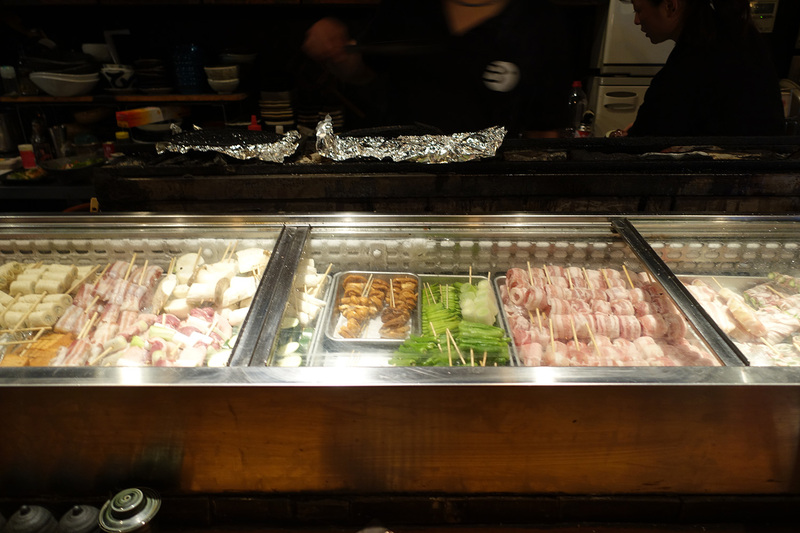 Once we had finished our snacks, we headed out into the night to find some dinner at a yakitori place recommended by our apartment host. 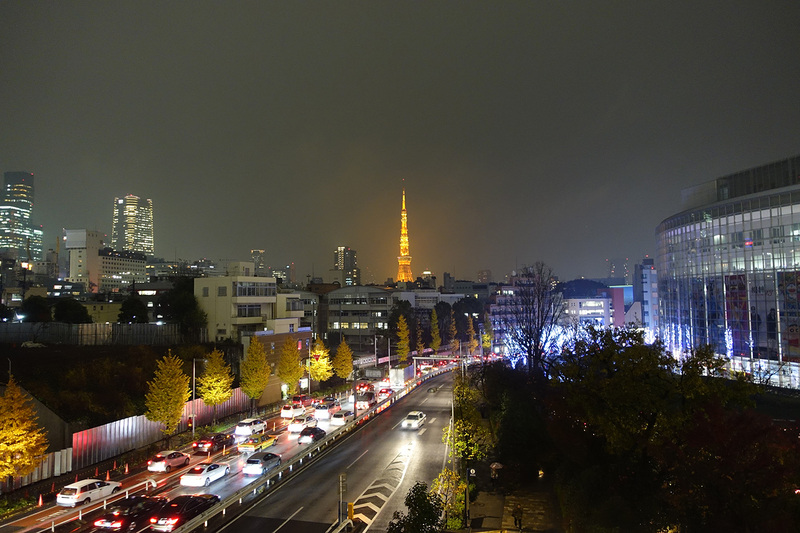 On the way out of Roppongi Hills, we had a great view of the illuminated Tokyo Tower. 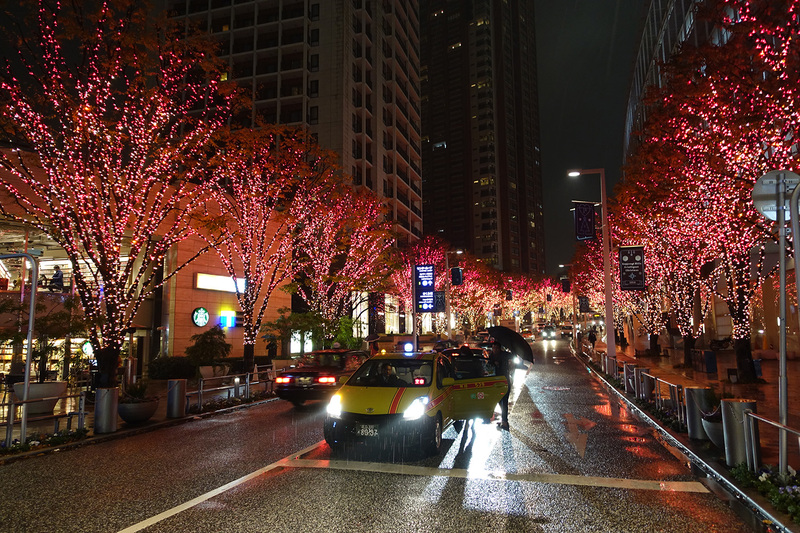 We also were able to enjoy the light display that Roppongi Hills has set up. It is very tasteful. The red and gold lights shown below fade away to blue and white on a cycle – it’s lovely! 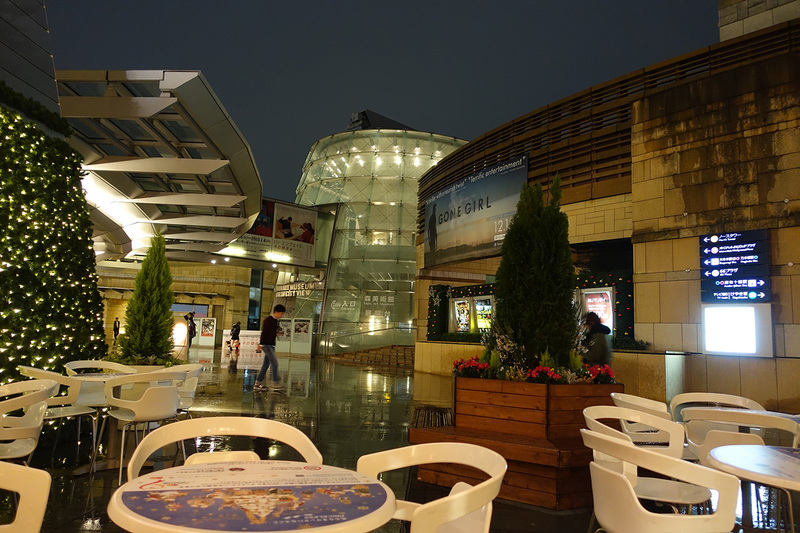 We finally found our way to the restaurant, Jomon, and were able to obtain 3 seats at the bar. The hostess ran a tight ship by all appearances and told us that, because we didn’t have a reservation, she could give us the seats for only 1.5 hours. That was fine with us so we took advantage of the opportunity to have a front row seats where we had a good view of all of the food options. 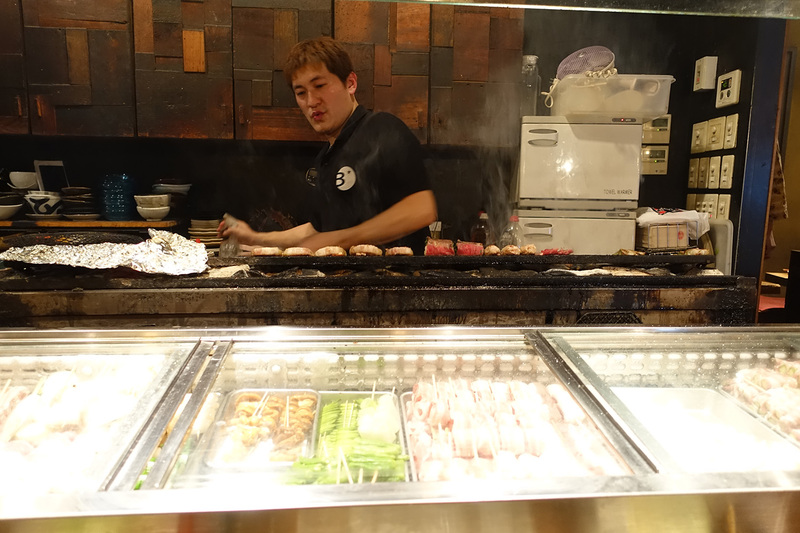 And we had a good view of the grilling action as well. The food was good and I even had a salad with freshly made dressing (haven’t had a salad in weeks!). Yummy! This restaurant seems to be a favorite of the gaijin embassy set, meaning there were very few Japanese people there while there were many Americans and Europeans present. We sat between an American and some French patrons. We were shepherded out promptly at the 1.5 hour time limit, grabbed our umbrellas and shoes (we had to take them off to get in), and headed home to rest up for our first full day back in Tokyo. See you soon for the Day 10 post.